The Hollywood Reporter reports that Seth MacFarlane and FOX are developing a spinoff centered around Peter Griffin’s neighbor Cleveland Brown. Seth MacFarlane, Mike Henry (the voice of Cleveland) and Rich Appel (executive for American Dad) are writing the project. Other projects in the work at FOX include an animated version of The Pitts from Simpsons vet Mike Scully, Relative Insanity from executive producer Jack Black and Mothballs from Matt Silverstein and Dave Jeser. Peter & the Wolf, the Oscar winner for best animated short, is ready to make its USA debut next month. Peter & the Wolf will make its television premiere on Thirteen/WNET’s GREAT PERFORMANCES series on Wednesday, March 26 at 8 p.m. on PBS (check local listings). Steve Purcellâ€™s popular comic book series Sam & Max Freelance Police comes to live in Sam & Max: Freelance Police!!! The Complete Series DVD box set on March 11, 2008 from Shout! Factory. 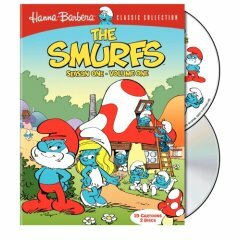 Featuring collectible DVD packaging art with original illustrations by creator Steve Purcell, this 3-DVD box set contains all 13 action-packed episodes and hours of exclusive interactive bonus features. Exclusive Bonus Features Include: A COMIC-CONversation with Steve Purcell, 3 Animated Shorts Originally Seen on FOX Kids, Sam & Max: Our Bewildering Universe â€“ An original animated short written and co-directed by Steve Purcell, A Look at Telltale Games with Dan Conners, Dave Grossman, and Daniel Herrera, Sam & Max Season 2 Playable Demo by Telltale Games and an Original Series Bible by Steve Purcell. Producer Maryann Garger and director David Bowers announced today that Freddie Highmore has signed on to voice ASTRO BOY in the upcoming CG-animated movie. Set in futuristic Metro City, ASTRO BOY is about a young robot with incredible powers created by a brilliant scientist to replace the son he has lost. Unable to fulfill the grieving father’s expectations, our hero embarks on a journey in search of acceptance, experiencing betrayal and a netherworld of robot gladiators, before he returns to save Metro City and reconcile with the man who had rejected him. Highmore’s previous films include The Spiderwick Chronicles, The Golden Compass, August Rush and Charlie and the Chocolate Factory. The final WALL-E poster has been released and we have it for you below. Click the thumbnail to view the full size image. Unstable Fables: 3 Pigs and a Baby, debuting on DVD March 4th, is the first film in the new â€œUnstable Fablesâ€ line of animated family features that retell classic stories. 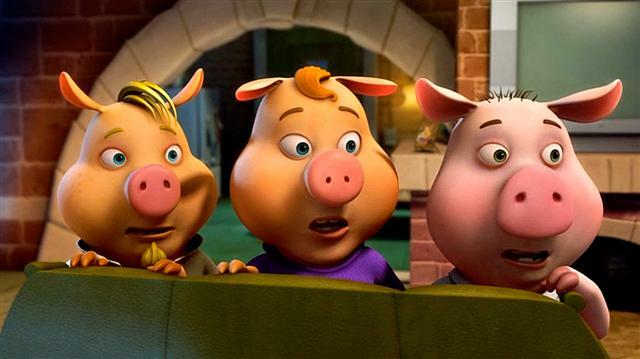 Unstable Fables: 3 Pigs and a Baby is created by the Jim Henson Company, Flame Ventures and Prana Animation Studios. Unstable Fables: 3 Pigs and a Baby features the an all-star voice cast including Emmy Award winner Brad Garrett and nominee Jon Cryer, Steve Zahn and Jesse McCartney. DreamWorks Animation has announced that they will now release “How to Train Your Dragon” on March 26, 2010 instead of the previously announced release date of November 20, 2009. Its new release date comes with less competition as November’s date would have put the movie up against Jim Carrey’s A Christmas Carol and James Cameron’s AVATAR, both of which are also presented in 3D. “The combination of a jam-up domestically and the very limited 3-D capacity internationally just didn’t make sense,” CEO Jeffrey Katzenberg told The Hollywood Reporter. “There will not be anywhere near the number of screens needed…” Katzenberg said he expects the number of 3D capable screens to increase from 1,000 to 5,000 by the time the movie hits theaters. 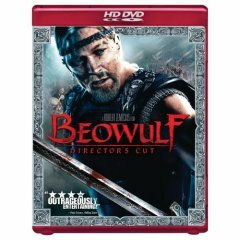 Paramount has announced today the release of Robert Zemeckis’ Beowulf on DVD and HD DVD in both a theatrical and unrated director’s cut version. The DVD will include the following special features: Deleted Scenes, A Hero’s Journey: The Making of Beowulf, Beasts of Burden: Designing the Creatures of Beowulf, The Origins of Beowulf, Creating the Ultimate Beowulf, The Art of Beowulf and Theatrical Trailer. Disc 1: In The Volume — feature-length picture-in-picture track, including motion capture performance, animatics and storyboards, Web Enabled Features, Beowulf Profiler and Scene Sharing. Disc 2: A Hero’s Journey: The Making of Beowulf, A Hero’s Journey: The Making of Beowulf Interactive Version with Optional Pop Up Trivia and Additional Featurettes, The Art of Beowulf, A Conversation with Robert Zemeckis, Deleted Scenes and much more. Warner Home Video has announced that Batman: Gotham Knight, will make its way into stores on DVD and Blu-ray on July 8, 2008. Batman: Gotham Knight is a new entry into the Batman mythos created by award winning producers and acclaimed writers who weaved six interlocking stories that reveal Bruce Wayne’s journey to Dark Knight, each with art from some of the world’s most revered animators. The production was divided among three renowned studios: Studio 4ÂºC, Production I.G and Madhouse, and included the visions of directors Shojiro Nishimi, Futoshi Higashide, Hiroshi Morioka, Yasuhiro Aoki and Toshiyuki Kubooka. Stories were written by several of the most talented writers of film, comic books, and animation, including Academy Award-nominated screenwriter Josh Olson, David S. Goyer, Emmy-winner Alan Burnett, Jordan Goldberg and award-winning comics writers Greg Rucka and Brian Azzarello. 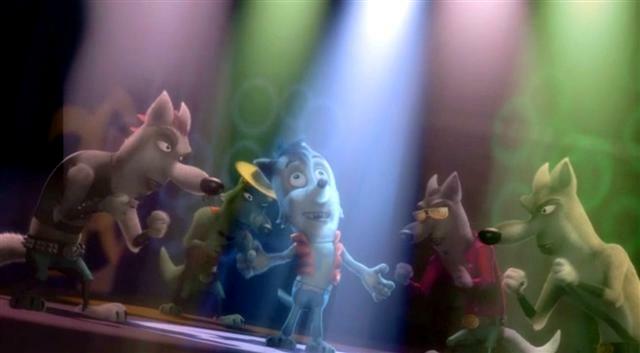 Ratatouille has won the Oscar for best feature length animated movie and Peter & the Wolf has won for best animated short. Update 2/29/08: Peter & the Wolf will make its U.S. television premiere on Thirteen/WNETâ€™s GREAT PERFORMANCES series on Wednesday, March 26 at 8 p.m. on PBS (check local listings). In the mean time, check out some behind-the-scenes footage. Pixar’s Andrew Stanton, director of WALL-E, was present at this year’s WonderCon to speak about and show new WALL-E clips to the people in attendance. WALL-E stands for Waste Allocation Load Lifter Earth-Class. Earth is buried in trash from over consumption and embarks on a 5 year space cruise to wait out the clean up efforts. Something goes wrong and they are gone for 700 years. The clean up effort fails as all the machines left, fall apart. WALL-E is the last one left. 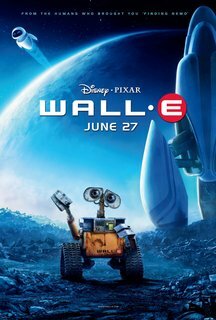 EVE is a probe droid that is sent down to check out the planet, and WALL-E falls in love with her. Everything revolves around his pursuit of her. Ben Burt (Star Wars) is doing the sound design. Day in the Life of WALL-E.
WALL-E showing EVE his “home”. WALL-E stowing away on pod recovery ship. WALL-E being sent back to earth from the home ship AXIOM.